WordPress is a great system for getting your content out into the world, and, even in it’s basic form, it can do many of the things we need as podcasters. One place in where it’s lacking, however, is RSS feeds – that’s the specially coded page which allows people to subscribe via iTunes or otherwise. Today we’re talking Podcasting plugings, and particularly ones that solve this problem, expanding out our RSS feeds to offer everything we need to work with iTunes. If you’re serious about having a successful podcast, then I’d recommend Powerpress as a first stop. But, if you’re running a hobby cast and just want something quick and easy, then Seriously Simple podcasting will do the job very nicely. Both are great companies, and offer different aspects to their services. I do have a partnership with BluBrry, so just to make you aware that I get a small comission if you use them. But, check both services out and decide on the package that suits you. 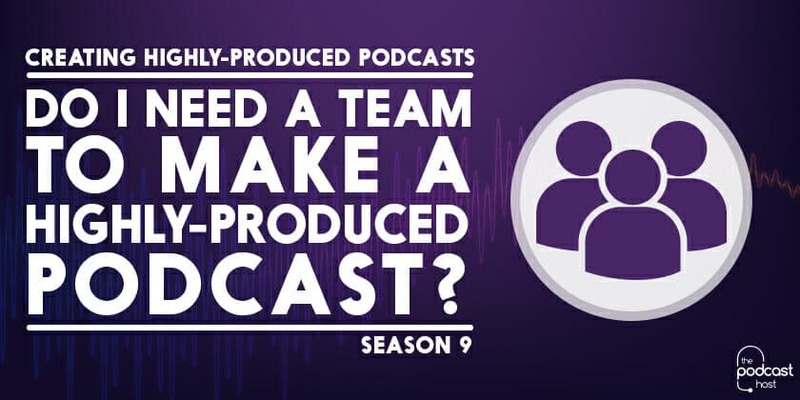 Hey folks and welcome to another episode of Series 3 of PodCraft, the series we’re talking peerless podcasting website, so how to create a great home for your podcast. And it’s episode 3 now so we’re up to looking at the software that you need to install on your website to make it run as a podcasting platform. If you’ve been listening so far, you know we’re working with the WordPress software, WordPress platform. So, WordPress works as a standard website platform. You can install any kind of website on there, create a website for your company, your hobby, your business, whatever you want. But to make it work as a proper podcasting website, you need a couple of plugins which enable it to create the RSS feed. And the right format that iTunes and the other providers require to be able to deliver audio files, it’s just a particular way of formatting RSS feeds to include those kind of, those audio files and the information that people need to be able to subscribe to your podcast. So, we’re going to look at the plugins you need for that. Now, if you missed just the days, yesterday we were talking about how to install the website. So, if you haven’t yet installed WordPress, by all means, go back to yesterday’s episode. And if you want to review the old series, you can always get to the full series index at podcraft.net/series3. But let’s get onto today’s content. So, why do you need these plugins? Why do you need tools that particularly setup your website to be a podcasting platform? Why can’t you just run it as normal? You know, with WordPress, you can just upload an audio file, you can place that audio file into a post. So, why do you need this extra software? Well, the main idea, the main reason for needing this software is that a normal RSS feed created by WordPress doesn’t contain quite the right enclosure tags for iTunes and the other types of podcasting applications. So, they need just a few extra bits of information to make it work for them such as stuff particularly related to the length of the podcast, so, like the length in time of the audio file or the type of audio file, the type of format. There’s also many things that iTunes used to categorise your podcast. So, they have categories within their catalogue and they take categories from a particular podcasting platform, a podcasting plugin to make sure you’re in the right category. So, you can make sure you’re listed in the right place. There’s also things like episode artwork or podcast artwork, so you’re full podcast has an image that relates to that podcast, you have that related to the whole podcast but then you can also have episode artwork as well, as you have a particular picture for each episode. And a good podcasting plugin will enable you to be able to add that artwork to your podcast feed and have it included in iTunes and the other provider straight away. So essentially, the podcasting plugins, the main reason is that they add a lot more functionality to your RSS feed that make your RSS feed more podcast related, add in all these information that’s related particularly to the podcasting sub sphere. And essentially gives iTunes and the other subscription apps a lot more information that helps them to categorise to work with your podcast. Now, other reasons for it, one particular reason actually is stats, so, statistics. Running a podcast is, you can do without statistics entirely, you don’t need to know how many people are subscribing, how many people are downloading, how many people are playing on a particular platforms but it can be really useful and it can actually help you create a more relevant content for your audience, it can make sure you’re tailoring your website to the right types of devices, if more people are listening on mobile for example. So, it’s quite nice to know who your audience are. Even geo locations, so knowing where your audience are from, knowing what countries they’re in, lets you perhaps create more content that are relevant to the bulk of your audience. So, it’s quite nice having those stats. And a podcasting plugin will usually give you a lot of options around how to integrate stats into your podcasting. For example, one of the plugins we’re going to talk about today is PowerPress, so, that’s the one created by Blubrry, probably one of the most popular podcasting plugins out there. And Blubrry run their own stats package, so they have free stats which are entirely free to use, give you still quite a lot for information. And they also have a Pro stat service as well which is only £5 a month which gives you really good stat, it’s really comprehensive, it lets you know all you need to know about your audience, about how people are listening to you and that’s built into that plugin. So, it just makes that kind of thing much easier. And you can also use different stats packages with PowerPress as well. Basically PowerPress just gives you the option to input a redirect URL which will be provided by any stats package which then lets that stats package see who’s downloading their podcast episodes and give you the information relevant to that. So, as you can tell it’s really easy to setup, all you need is that stats account with whoever you want to do it with and you need that link that you put into PowerPress for example. Another good reason to have a podcasting plugin is that they quite often give you more comprehensive or more useful players for the audio. So, WordPress does give you the option to have an audio player in it as standard. If you just place a link to an audio file in WordPress, quite often it will bring up with latest versions or if you have a plugin it will bring up a player, it let you play that audio file automatically. But with a podcasting plugin, it will give you particular things related to the podcasting area such as download, so quite a lot of people all want to listen to podcast on the go and PowerPress plugin, for example, gives you a download link right below the plugin player. But you could argue that’s not actually unique to podcasting, anyone that listens to an audio file online might find it useful to be able to download your audio file to listen to you offline on a mobile device for example. So, it’s a good function to add even if you’re not thinking particularly podcasting. But the podcasting plugins do tend to add a few more features to the player in that form. They tend to give you a bit more customisation over the player too, for example PowerPress and Seriously Simple Podcasting, the other plugin we’re going to talk about today. Both offer quite a few options about how your player appears, what functions it offers. Gives your listeners a lot more power over how they consume your content on your website. Now, finally, there are few different things that you can also do with particularly podcasting plugins. They give you a lot more power over how you deliver your feeds as well. So, PowerPress particularly gives you a lot of control over creating one on one feed, so it can enhance all of your feeds on your WordPress site to include all of the podcasting extras such as enclosure, tags, all that kind of stuff. But it can also let you setup other feeds, so if you want to run more than one podcast from one website then that’s more impossible. You can also create a feed for the series of your podcast or for themes within your podcast, so you can create a sub-podcast within your big podcast and that’s not something that’s as easy as the standard WordPress. You can do it with categories but PowerPress just gives you a bit more control over how that appears. And also allows a little bit more control of the feeds in terms of password protection, so you can make it so that each feed is private or you can password protect only certain feeds. So, if you’re thinking of monetising your podcast and you want to have certain feeds which are available to the public for free, but certain feeds which aren’t available for free then you can password protect your feeds. So, there’s a lot of features like that within the likes of PowerPress, within the likes of Seriously Simple Podcasting that you just don’t get within your standard WordPress installed. So, there’s a few reasons, basically it’s face to say that there’s a very reasons for installing a podcasting plugin just for the fact that you get a valid podcasting feed that you can submit to iTunes but also it gives you a whole lot more features that will benefit you in the future as your running your podcast. So, the main thing to look at now is actually which ones to use. Now, I’ve mentioned the names of them already. So, PowerPress from Blubrry, Blubrry spell B L U B R R Y, so it missed out all the vowels in standard web2 fashion. It’s a really good plugin and really powerful, it’s been around for years, it’s probably one of the most popular podcasting plugins out there. And as such gives you a lot features. The only complain I would have about PowerPress is that the, well, the plugin itself isn’t the nicest looking thing, it’s pretty functional but it works really well, so don’t worry too much about that. Get it installed, have a look through the features. It’s improved in recent years, months even in terms of usability, so for guiding you through the process in setting up your podcast. And it is quite good in hiding away the more advanced features because PowerPress does offer you a whole lot of power but a great deal of that, you actually wouldn’t need as a beginner podcaster. So it does have a couple of modes, a beginner mode and an advanced mode which the beginner mode just takes you to the essential, so it just takes you through the things you really need to setup in the first place to get your podcast working. And then once you’re running, once you want to start customising things, once you want to start getting to the advanced stuff, you can choose that and you can move over to the advanced features. But PowerPress, is certainly the one I use, that’s the one I tend to recommend the most. I find it’s just then, I’ve tried quite a lot of plugins over the years and it’s the one I tend to use. So that’s the one I would recommend as number one option. Now, just to tie things up here on that subject, that is actually something that on most servers, it’s not a good idea to do. So, you don’t want to be uploading your media files directly to your own hosting because your own hosting doesn’t really, isn’t really setup to handle media deliveries, not setup to handle large audio files, large video files and handle the delivery of them long term. So, once the podcast gets really popular, so you don’t want to be using your own hosting for the media, what you want to be doing is using an external media host to host your audio files and then upload the URL from there into PowerPress or Seriously Simple Podcasting. So, actually on that basis, if you see your podcast becoming really popular, if you see your podcast becoming a business tool, something that you want to rely on as opposed to just a hobby then that upload function within Seriously Simple Podcasting becomes a little bit moot because you’re not going to be uploading audio files directly to your own hosting, you’re going to be uploading elsewhere and copying it in. Now, there’s a few different options for that, you can go externally to a hosting provider such as Blubrry Media Hosting or Libsyn, you’ll pay a monthly fee with them to use their services, to upload your media and then each time you upload your media you will get a URL for that media file and you can copy that into your own website. Now, with Libsyn, obviously, you do get a website, you do get your own place within Libsyn, but as we’ve talked about the start of the series, I really believe that you should be self-hosting your podcasting website so that you own your podcasting site, you own your RSS feed, you own a domain on which all of your content has delivered and you just use something like Libsyn or Blubrry Media to actually handle the media delivery side of things. So, you’ve got your own home for your podcast and they handle the media itself. There are a few free options out there, so a lot of people are using stuff like Sound Cloud at the moment to deliver their media. So include actually, once you get up to larger delivery, sub-sizes, once you get more podcast out there, you do have to start paying for it. There’s a couple of free options, to be honest I wouldn’t really recommend a free hosting options. They just tend to be either they’re complicated, their either hard to use, they make it difficult to get the URLs or their just not very reliable. You don’t want to relying on something free, you want to invest in this. If you want your podcast to be popular, you want to be investing in it and it’s worth while spending the, it’s not too much for monthly fee to go with one of the good media hosts. Now, if you want to check these out, I would say go to Blubrry Media, they’re probably one of my favourites. I talk to Todd and Angelo quite often and they’re really good company. So, you can go over to podcraft.net/brry or you’ll see just what they’re offering at that link podcraft.net/brry or if you want to look at Libsyn, go to podcraft.net/libsyn and you’ll find their options as well. Libsyn spell as L I B S Y N.
So, that’s just leaves me to direct you to the tutorials for today. So, we’ve talked about plugins, we’ve talked about installing these podcasting plugins for your website, now, we want to know how to do it. So, I mentioned on an earlier episode that I have create a course around this kind of stuff, around creating this type of websites. So I’ve got some video tutorials on there to show you how to install plugins, so just go to podcraft.net/websitecourse and that’ll take you straight to the tutorial videos. You can register for the course there if you haven’t already and it’ll take you to the course. You can find in there how to install plugins. Okay, so, that ties us up for this episode on podcasting plugins. Hope that was useful to you and you can now get a podcasting plugin installed on your WordPress website. And that leaves us setup really just to setup the last couple of things for your WordPress website this week. We’re going to look at themes tomorrow. Just how you make your site look a little bit more unique, how you make it look a little bit nicer. And I hope you’ll find that useful just to, you know, make yourself stand out. So, thanks again for listening and I’ll see you on tomorrow’s episode. NextChoosing a Theme for your WordPress Podcasting Website: Looking Good! I found this post via Google and I’m the author of Seriously Simple Podcasting. I just want to clarify a few things – you mentioned that SSP doesn’t supply a “specifically coded RSS feed” and you say that it lacks “episode, titles, episode artwork, sorry, particular RSS feeds, password protection” among other things. I’m not sure how you tested the plugin, but it does actually include all of those features – every single one. The only one that it didn’t have when you posted this is episode-specific images, but I have now added those in the latest release. I just thought I’d clarify that here in case other people find this post and think my plugin is lacking features that are core to its functionality. Thanks for getting in touch, and I appreciate the clarification! If I can just clarify in return, I didn’t really mean that SSP couldn’t do all of those things – it was more a statement that Powerpress does have some more advanced features. But I can see it comes across otherwise in the transcription, suggesting SSP might not have those, which is unfortunate – I’ll correct that for you now. It’s a unfortunate effect of transcriptions that often the meaning of tone and context is sligthly lost, so I’m sorry about that. I actually know SSP can do password protected feeds because you implemented it on my request 🙂 I’m the one who kept bugging you last year with features and questions on the WordPress forums. I know SSP very well and use it extensively on this site, alongside Powerpress. Some of my users prefer SSP and some prefer Powerpress, so I offer both. I’d happily chat to you about SSP on the Podcast actually, if you’d be interested, and you can explain exactly what the plugin can do. Let me know if so and we can set it up. Need to run your script through a grammar checker to make it easier to read. Anyway, about this “…But it can also let you setup other feeds, so if you want to run more than one podcast from one website then that’s more impossible.” Do you mean to say possible? Thanks!